Sales tax is the only tax in place that applies to precious metals when purchasing them in the United States. But even that tax isn’t applied uniformly to bullion across the whole country. In some states sales tax does not apply to bullion and in others it does – you can view state information here. Even in those states where bullion incurs a sales tax, it isn’t always applicable for all bullion purchases, and sometimes only for those over a certain amount. Finding out the tax status of silver in your state isn’t always straightforward. Finding ways to avoid paying taxes on your purchases can be done but again, but it depends on your state and where you intend to buy the silver from. If you plan to sell your silver in the future, in order to cash in on your investment, you will have to pay tax on any profits you make. 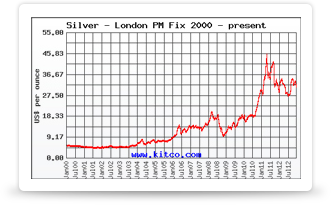 For this reason it is important that you keep a record of the prices you paid for any silver you have purchased. If selling at a profit, these gains will be taxed of a rate of up to 28%, with the profits being considered an income. When recording the price you paid for the silver, you can include any fees, or charges that were part of the purchase price. A number of states impose a sales tax on bullion which includes silver, although the list is constantly liable to variation, thanks to the never ending changes in tax rules across the whole of the United States of America. While some states don’t ever charge sales tax on bullion purchases, some exempt sales over a certain amount. For example, California will apply sales tax to orders that are less than $1,500, while those over that amount are exempt. At the time of writing there are 17 states that do not collect sales tax on bullion. Those states are: Arizona, Delaware, Georgia, Idaho, Illinois, Iowa, Michigan, Mississippi, Missouri, North Dakota, Oregon, Pennsylvania, Rhode Island, South Carolina, South Dakota, Utah and Washington. This means that by purchasing silver out of state, from one of those 17 states, could save you a lot of money on a large order of silver. That is assuming you live in a state that applies sales tax to silver bullion purchases and you were intending to buy locally. By doing this you could save yourself between 5 and 10 per cent on your purchases of silver which, over time, and with large purchases, could really mount up. Although, it is worth noting that you may have to pay a ‘use tax’ on your purchase once they have arrived. However, this is also enforced on a state by state basis, so it will be down to you to research your state and find out if it applies to you or not. While this non-uniformed application of sales tax on bullion opens the door for savings to be made by canny investors, it is vital you check with the online precious metal dealer you intend to make your purchase with, to find out whether sales tax will be added to your order or not.